House Republicans on Tuesday blocked Democrats’ latest gambit to reopen the government, while several agencies announced they would recall thousands of employees as they strap in for a long-term shutdown that has no end in sight. House Democrats attempted to pass a measure to open federal agencies through a stopgap continuing resolution that would last until Feb. 8, but the bill needed a two-thirds majority and only six Republicans joined their colleagues across the aisle in supporting it. Democrats said the measure would allow agencies to reopen while negotiations continued over border security, but President Trump said he would veto it and nearly all Republicans fell in line. The White House looked to work around House Speaker Nancy Pelosi, D-Calif., on Tuesday, inviting rank-and-file Democrats to the White House for negotiations. Many of those lawmakers ultimately declined the invitation, however, saying they were only interested in continuing discussions once the government is funded. Some Democrats made their way to the White House on Wednesday, but again said they would not engage in negotiations until the government opens. Leaders in both the House and Senate said their chambers would not proceed with their scheduled recesses next week if the government remains partially shuttered. In the meantime, the government entered its record-setting 26th closed day. Federal agencies began making adjustments to their shutdown plans, activating previously furloughed employees to continue certain mission-critical functions. The Internal Revenue Service, for example, announced on Tuesday it would recall more than 36,000 additional employees to prepare for tax filing season. The agency previously had fewer than 10,000 workers reporting during the shutdown. The recalled employees, like all of those who are working at shuttered agencies, will not receive pay until the government reopens. The National Treasury Employees Union, which represents IRS workers, has sued the Trump administration over its shutdown implementation plans and adjustments it says have essentially provided a “blank check” for agencies to continue whatever services they see fit. A federal judge on Tuesday rejected NTEU’s effort to implement a temporary restraining order that would have barred the government from making its employees work without immediate pay, but set up an expedited timeline to hear the arguments on the merits of the larger case. With only slightly more than half of its employees on board, the IRS will not be able to complete many of its normal functions. It typically hires seasonal workers during this time of year, but cannot currently do so. The Federal Aviation Administration also said it would recall more than 3,000 safety inspectors this week who were initially furloughed. More than 24,000 air traffic controllers have worked without pay throughout the shutdown. They began handing out leaflets at airports across the country to sound the alarm on the dangers to the National Airspace System during a shutdown, and have spoken out about public-private workgroups that are unable to meet, maintenance that is being delayed, and training and hiring not taking place. Food and Drug Administration Commissioner Scott Gottlieb announced on Tuesday the agency was recalling 400 employees from furlough. The plurality of recalled employees will work in food inspections, followed by individuals reporting to high-risk manufacturing facilities producing medical devices, biological devices or drugs. 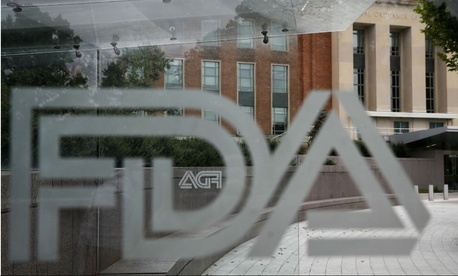 FDA employees had cautioned that the vast majority of “surveillance work”—both scheduled and random inspections—was not taking place, and about 40 percent of the agency’s employees remain furloughed. The Agriculture Department’s Farm Service Agency announced on Wednesday it would reopen temporarily to provide “limited services” to farmers and ranchers, and in so doing had recalled 2,500 employees. The recalls will enable the agency to reopen for Thursday, Jan. 17, Friday, Jan. 18, and Tuesday, Jan. 22, USDA said. About half of FSA offices will unlock their doors to open mail to “identify priority items” and help process previously approved payments. The Interior Department’s Bureau of Ocean and Energy Management said it would recall staffers to facilitate the sale of certain parcels in the Gulf of Mexico, with their work funded through carryover appropriations. These employees will be furloughed once their work is complete. The number of furloughed employees, now down to about 300,000, has fluctuated throughout the shutdown. Some agencies such as the Environmental Protection Agency increased their furlough numbers after the initial weeks, as their carryover funds ran dry. Most agencies’ shutdown contingency plans have provisions noting that furloughed employees can be recalled during an emergency. That is particularly true at the Homeland Security Department, which notes in its plan that those deemed excepted under the current interpretation of the Anti-Deficiency Act do not entirely overlap with those deemed “essential” during emergency situations that require federal assistance. During the 2013 shutdown, for example, the Federal Emergency Management Agency recalled employees in anticipation of a tropical storm. In some cases, a shutdown could prompt recalls just based on its length. The Housing and Urban Development Department, which furloughed 95 percent of its 7,500 employees, noted in its plan that it may recall employees whenever necessary for various types of litigation. The department said, for example, it would recall “staff that are necessary to respond to a request from the Department of Justice to assist in litigation that has not been stayed.” Only 343 employees have worked regular hours throughout the shutdown, but HUD also maintains a cadre of 1,000 employees who are recalled “intermittently” on “any given day” to complete excepted work.